Last weekend’s weather left much to be desired… but when your best friend is a lab, it’s never too rainy for a dogventure. In fact, the light misty rain made for perfect jogging conditions. So we decided to check out a trail that’s been on our list for quite some time: the Shubenacadie Trail in Waverley. The Shubenacadie Trail starts right around where Lake William feeds into the Shubenacadie Canal. Following the Waverley Road, continue until you’ve just passed underneath the Forest Hills Extension, and a parking lot will be on your left. You’ll know you’re in the right spot if you see this cool little bridge structure which will take you over the Canal and onto the crushed gravel trail. Once you cross the Canal, you can head either north or south. 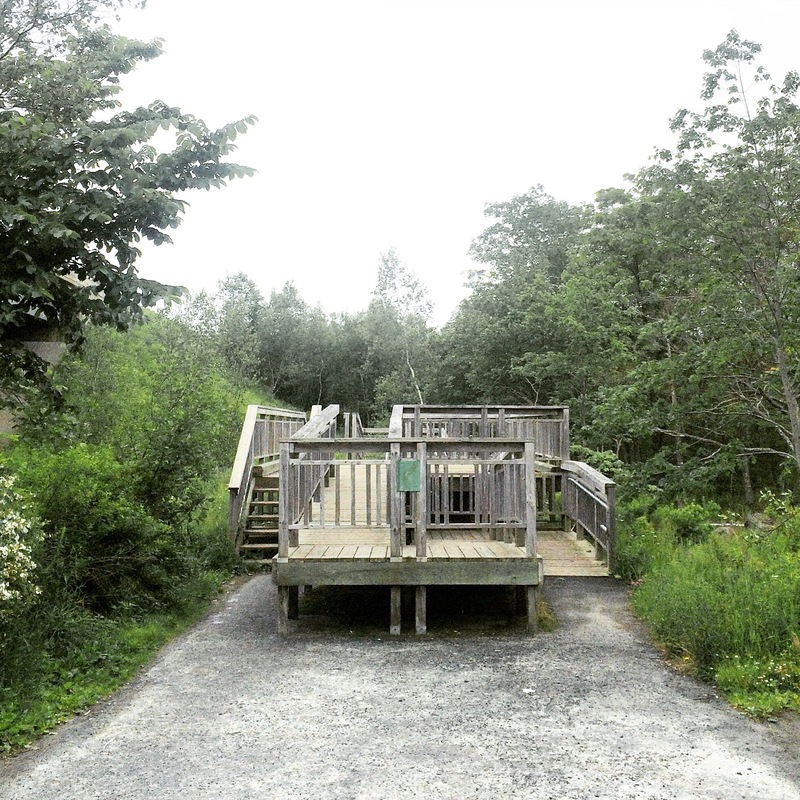 To the north, you’ll experience a picturesque stroll through the woods that continues for about 1.5 km before reconnecting with Waverley Road. To reach the very end, you’ll need to traverse a small segment of the Canal by doing some rock hopping. It looks like there is normally a bridge here, which is currently lying on the other side of the trail. The southern route offers much of the same, but after about 4 km you’ll connect to glorious Shubie Park. The Shubenacadie Trail is actually a tiny little piece of the Trans Canada Trail. Which means you could eventually connect to the beautiful Salt Marsh Trail that we visited back in March. When visiting the Shubenacadie Trail, be sure to take some time to stop to appreciate the iconic Shubenacadie Canal. This incredible waterway quite literally cuts Nova Scotia in half – spanning 114 km from the Bay of Fundy to the Halifax Harbour. The Canal is mostly made up of natural lakes and rivers, with some modifications including the addition of nine locks. Although we spent most of our visit on the northern part of the trail, we can’t wait to explore the longer southern piece, which would have the added benefit of taking us into an area of Shubie Park we’ve never been. Happy Fetch Friday, everyone! If the weather cooperates, you can expect next week’s post to be about our very favourite summertime spot… Any ideas?